Weighing in at just 12 lbs. and with a footprint of only 16• by 14.5,• you can use the Stamina InStride Total Body Cycle just about anywhere. When targeting the lower body, simply place the cycle on the ground or under a desk and begin burning calories. If you want to target your upper body, place the cycle on a table or desk and begin pedaling with your hands. To control the intensity of your workout, just turn the dial to lessen or increase the resistance. You can also further customize your workout by pedaling in the reverse motion to target different muscles. 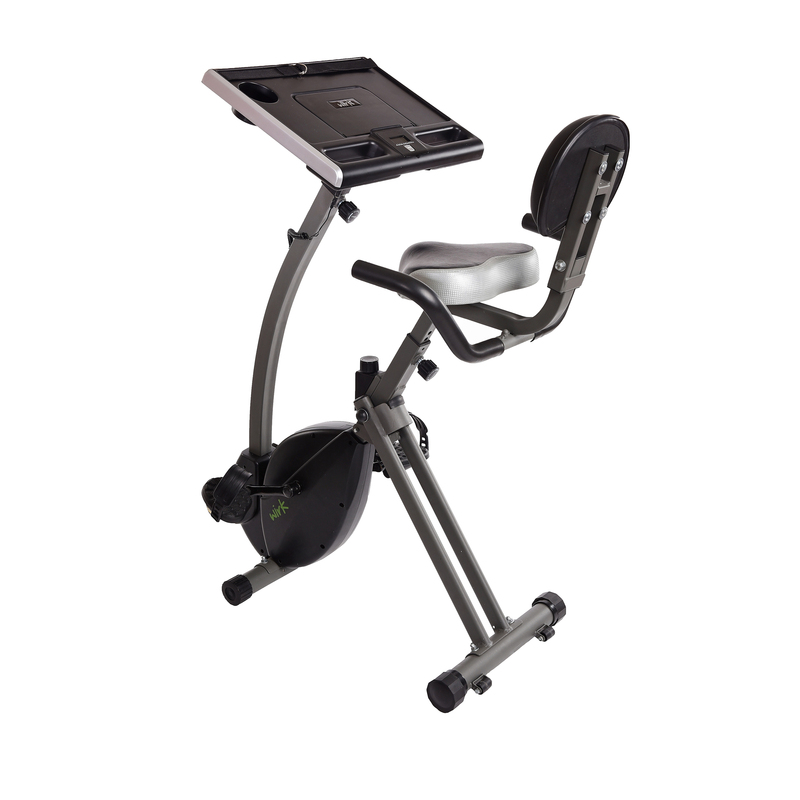 To keep you motivated and help you track your progress, the InStride Total Body Cycle comes equipped with a multi-function monitor. The monitor, which is controlled by a single button, displays your distance, calories burned, speed and time. But no matter how long or intense your session, though, the molded pedals and straps fit easily onto your hands and feet to provide comfort.